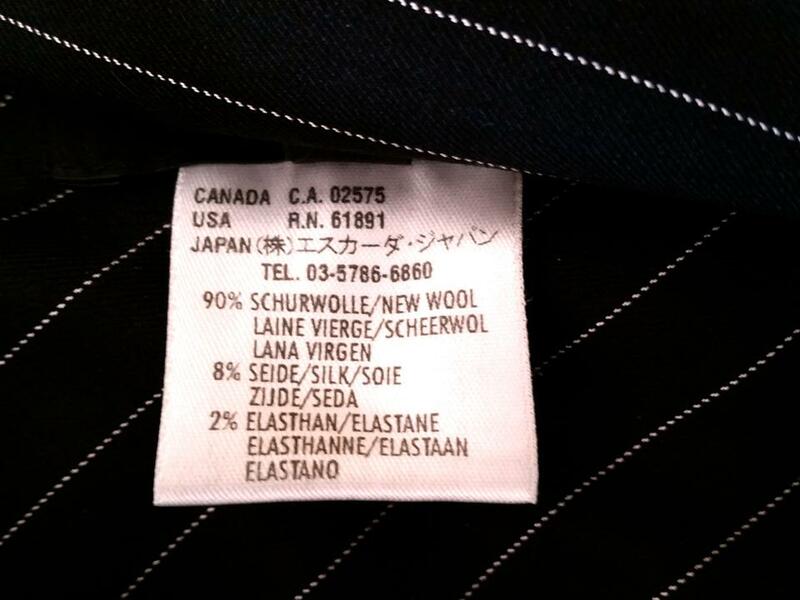 Beautiful, lightweight new wool and silk ESCADA suit. 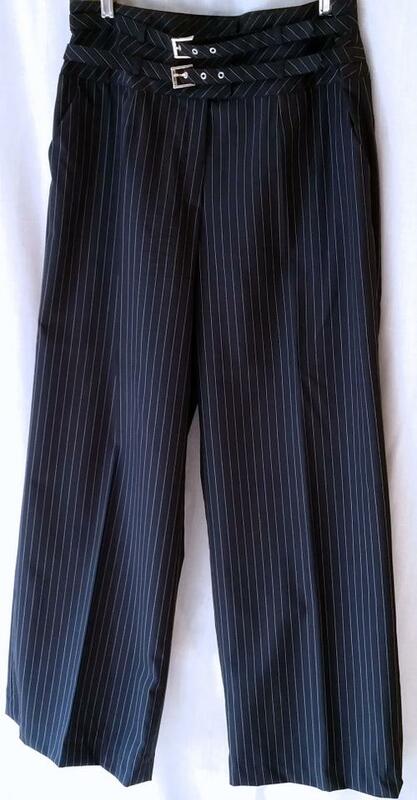 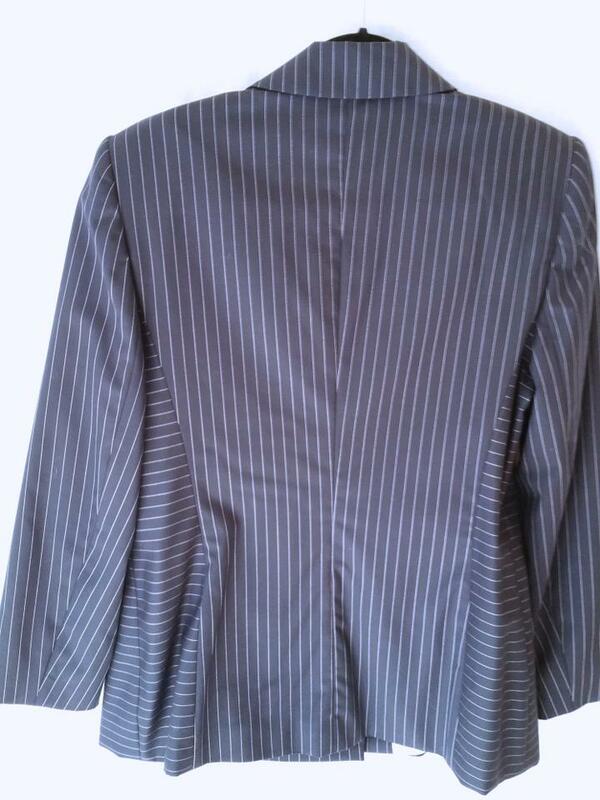 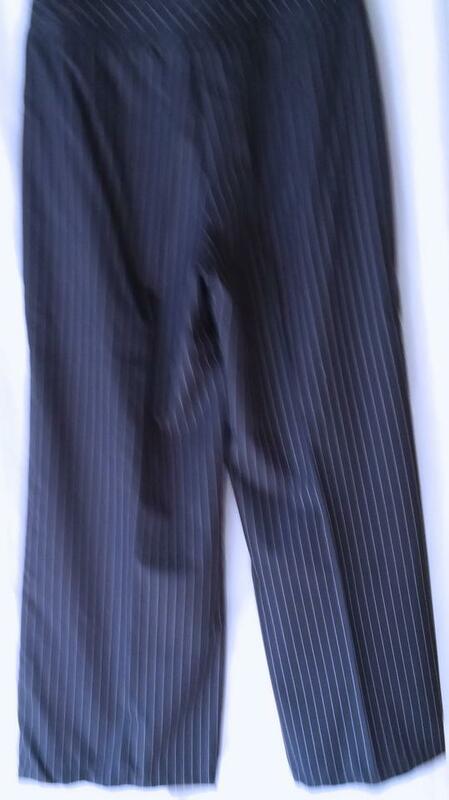 Jacket marked size 40 and trousers marked size 42. The jacket is double-breasted with pockets, the pants have straight wide legs and side pockets. 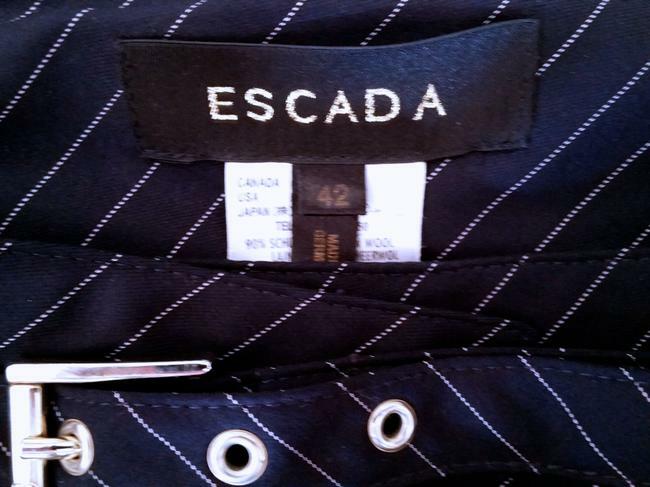 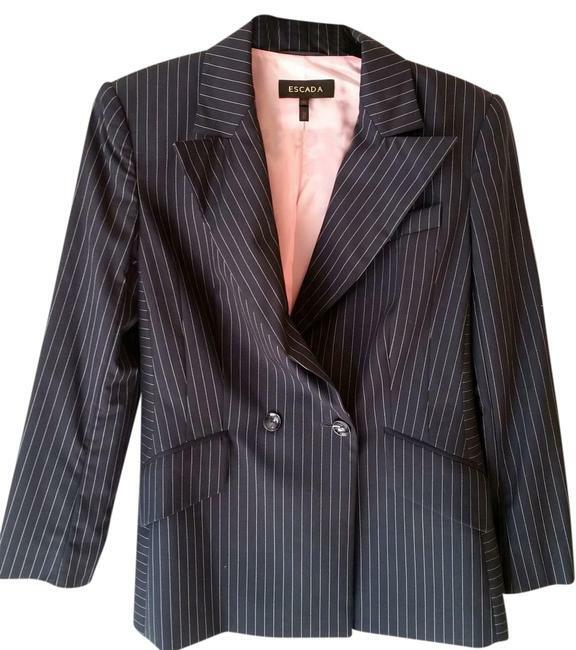 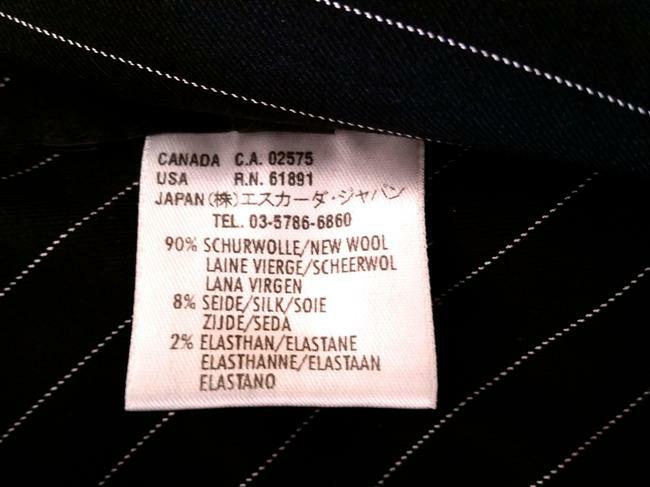 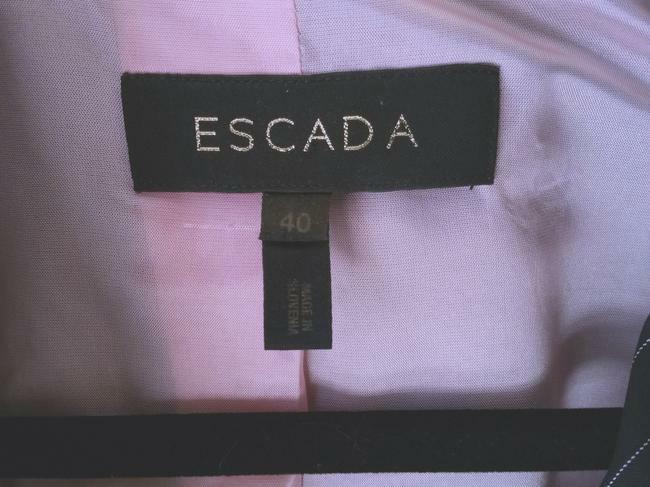 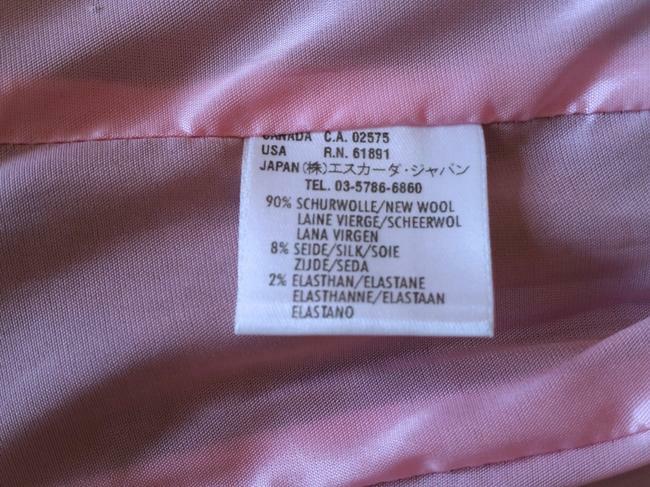 Jacket is fully lined in beautiful Escada signature, pink silk; the trousers are not lined. 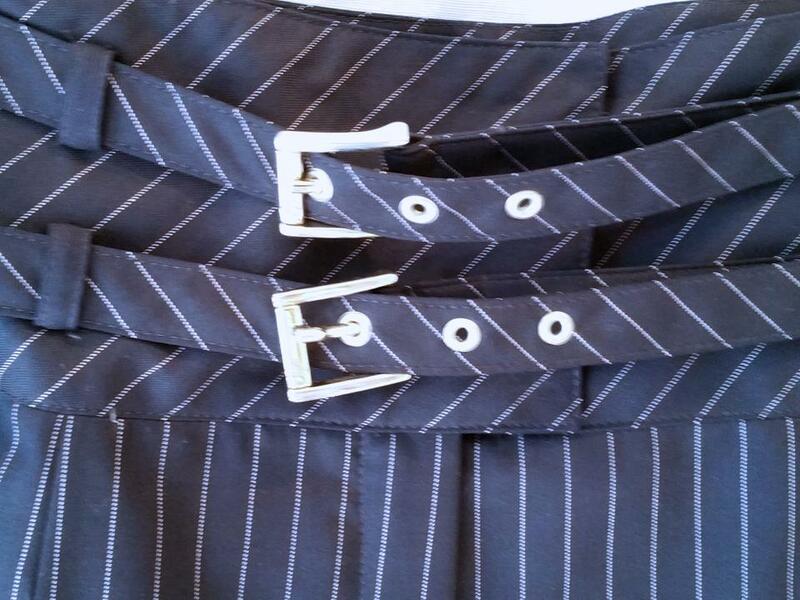 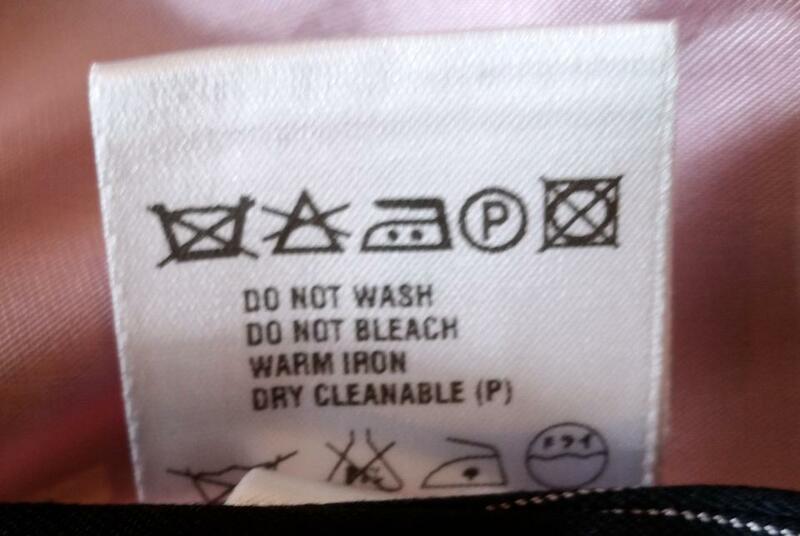 Pants have stylish buckle closures.